In Jackson, Mississippi, in 1962, there are lines that are not crossed. With the civil rights movement exploding all around them, three women start a movement of their own, forever changing a town and the way women - black and white, mothers and daughters - view one another. The Help is a 2011 American period drama film. The film features an ensemble cast, including Jessica Chastain, Viola Davis, Bryce Dallas Howard, Allison Janney, Octavia Spencer and Emma Stone. Touchstone Pictures released The Help worldwide, with a general theatrical release in North America on August 10, 2011. The film was a critical and commercial success, receiving positive reviews. 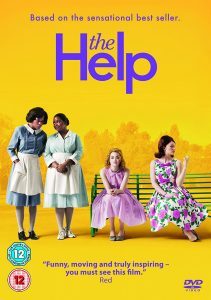 The Help received four Academy Award nominations including Best Picture, Best Actress for Davis, and Best Supporting Actress for both Chastain and Spencer, with the latter winning the award. The film also won the Screen Actors Guild Award for Outstanding Performance by a Cast in a Motion Picture. If you like The Help, check out these books with similar themes. It is the summer of 1964, and University of Michigan sophomore Celeste Tyree travels to Mississippi to volunteer her efforts in Freedom Summer. She ends up helping voters register in the small town of Pineyville, a place best known for a notorious lynching that occurred only a few years earlier. Through her work, Celeste finds inner strength as she helps lift the veil of oppression and learns valuable lessons about race, social change, and violence. Amid the oppressive heat of summer in 1963 in the small town of Millwood, the neglected Florence is constantly shuttled between her grandparents and their longtime black maid, Zenie, with whom she meets Zenie's niece, college student Eva Greene. When Eva begins selling burial insurance to pay for her education, simmering racial tensions erupt, and Florence becomes a witness to unspeakable crimes. Embracing the conservative and discriminatory belief systems of her Southern hometown, Tab witnesses profound changes in the attitudes of her friends and family throughout the course of a 1960s gubernatorial campaign, which is marked by the establishment of a voting school for church members. It is the summer of 1964. In Tupelo, Mississippi, and tensions are mounting over civil-rights demonstrations occurring ever more frequently--and violently--across the state. But in Paige Dunn's small, ramshackle house, there are more immediate concerns. As the summer unfolds, hate and adversity will visit this modest home. View more suggestions for The Help.